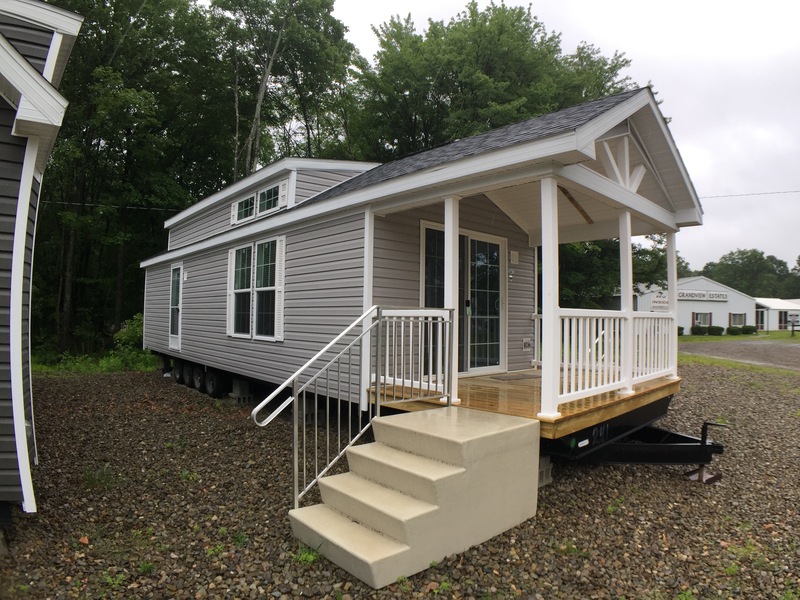 An all new floor plan, featuring a functional, space saving stairwell, white shaker style cabinets, glass tile backsplash, full size appliances, x2 ceiling fans, pocket door and more! An updated look for a previous floor plan. This loft model showcases new grey shaker style cabinetry throughout, along with a ship lap accent wall at the entertainment area, and outside, a spacious 8' covered porch with sliding glass door. 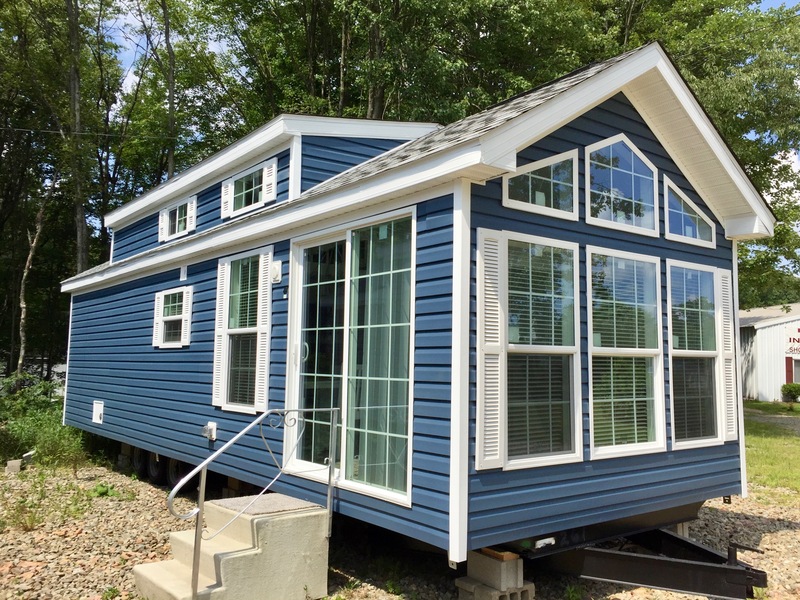 This park model rv offers a modern clean feeling inside and out. 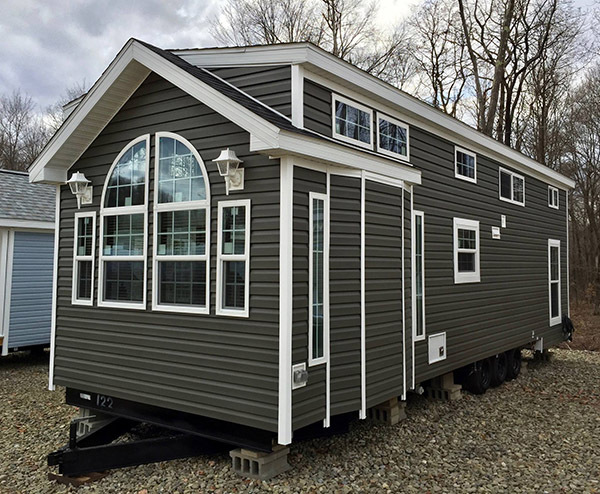 The upgraded graphite siding, white trim and lineals coupled with the 8/12 pitch roof make this a real eye catcher. The interior boasts high ceilings, clear story windows, pentizoid gable window, peppercorn cabinetry throughout, grey scale wood grain vinyl flooring, prep sink area, glass mosaic backsplash. The open loft overlooks the living area and has a rear extra ceiling height drop loft, plenty of natural light offered by the sliding glass door, lighted ceiling fan and can lights. Also included, 40K btu gas furnace with a/c prep, full size refrigerator and range, corner shower and more! 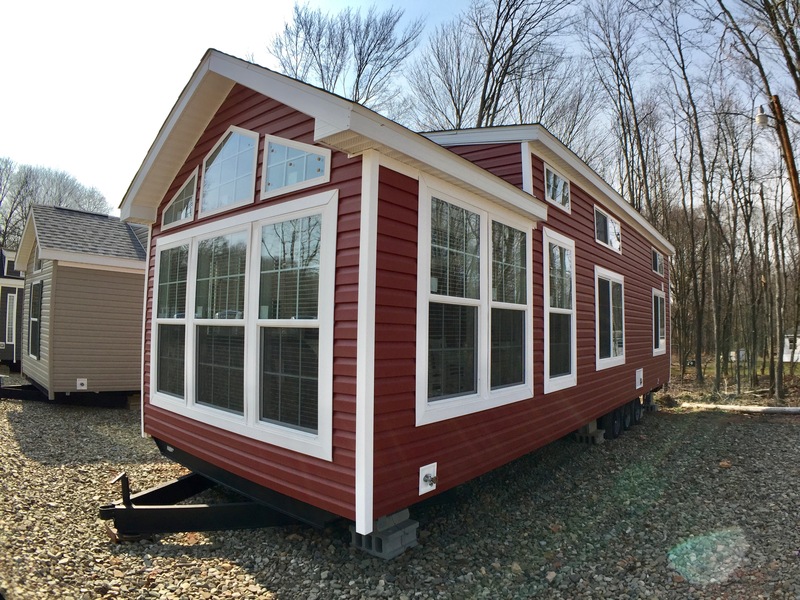 This bold colored park model offers 2 bedrooms, white shaker style cabinets, glass tile backsplash, full size appliances, a separate rear entry, flat screen TV wall mount, a double loft, and more!